“Italian director Sergio Leone tells the story of The Good the Bad and the Ugly more with pictures than words. Examine the masterful scene in the cemetery. A fortune in gold is said to be buried in one of the graves, and three men have assembled, all hoping to get it. 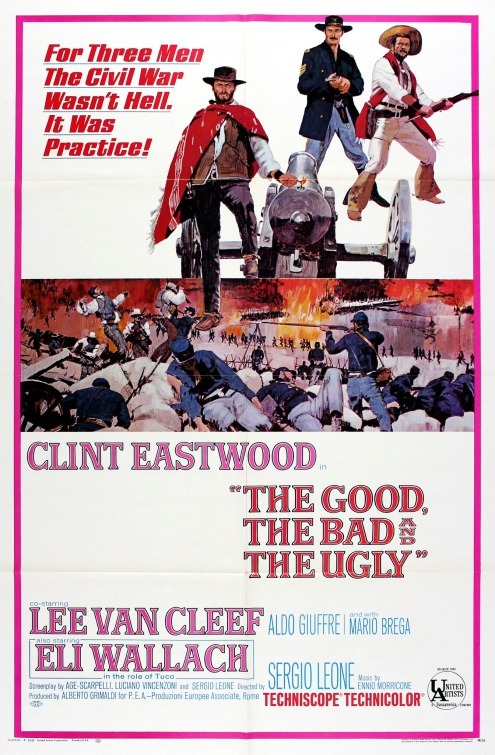 The actors are Clint Eastwood (the Good), Lee Van Cleef (the Bad), and Eli Wallach (the Ugly).